Zach is a certified personal trainer and group fitness instructor. 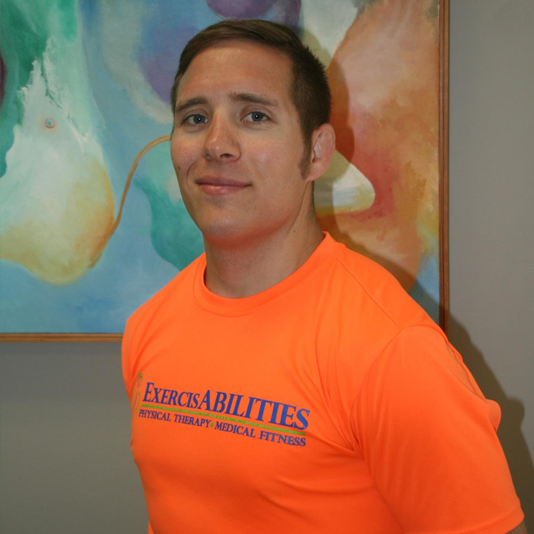 In 2015, Zach received training from the NRN, neuro-recovery network on activity based exercise and rehabilitation interventions with a focus on working with those with spinal cord and brain injury. Zach is passionate about helping those with these injuries meet their goals and recover movement throughout their lifespan. Zach leads our Parkinsons’s PWR! Exercise Program and enjoys leading our activities in our healthy lifestyles program, in which he works with corporate wellness initiatives in the Rochester area to create a healthier workforce. He also enjoys working closely with our Dietitian on development of the Kidshape childhood obesity program. Some of his hobbies include: running, wrestling/grappling, hunting, hiking and pretty much any type of exercise.